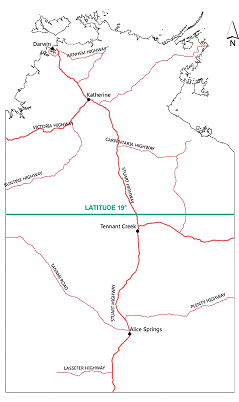 The Executive Director of Bushfires NT, Department of Environment and Natural Resources hereby gives notice that a Fire Danger Period is declared for the period 1 January 2018 to 31 March 2018 in the part of the Territory that lies south of the 19th parallel of south latitude (starting approximately 70kms north of Tennant Creek). The major effect of this declaration is that, throughout the declared area, a permit to burn is required before any burning is conducted, and a person must not leave an area before thoroughly extinguishing any fire they have lit. There are substantial penalties for failing to comply with these requirements. For more information contact Bushfires NT on 8922 0844.